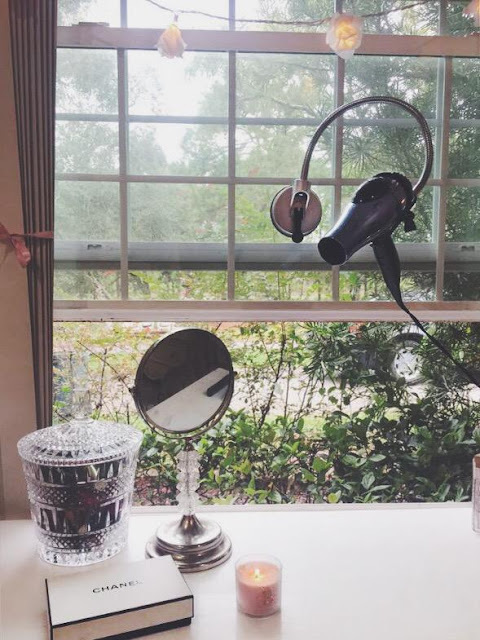 Today I figured I would share with you a little beauty tool that is seriously game changing. This product is called a "Blo & Go." Its basically a tool that lets you blow dry your hair, without having to hold the dryer (its the little things in life lol!!) 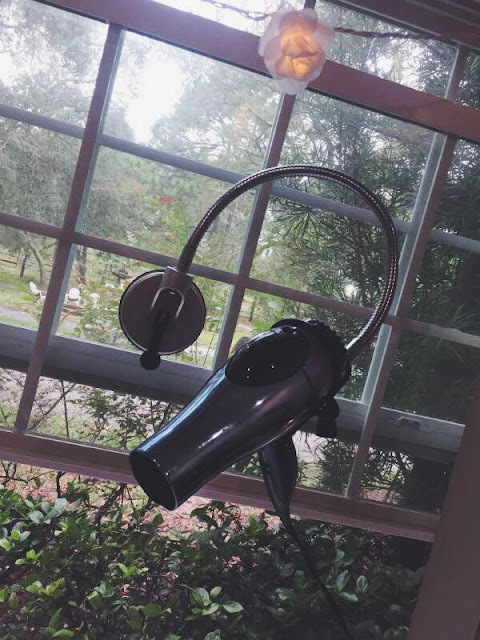 It makes blow drying your hair so easy, and me being someone who has always hated blow drying my hair this is the perfect product! I usually just round comb the top and front of my hair and then sit backwards, letting the Blo and Go finish the rest. Also if you want to round brush your hair to give you a bouncy straight look, this tool is perfect. You don't have to worry any more about balancing a brush and blow dryer! I have to say if you are someone who consistently blow drys your hair, this product is a must have for sure. 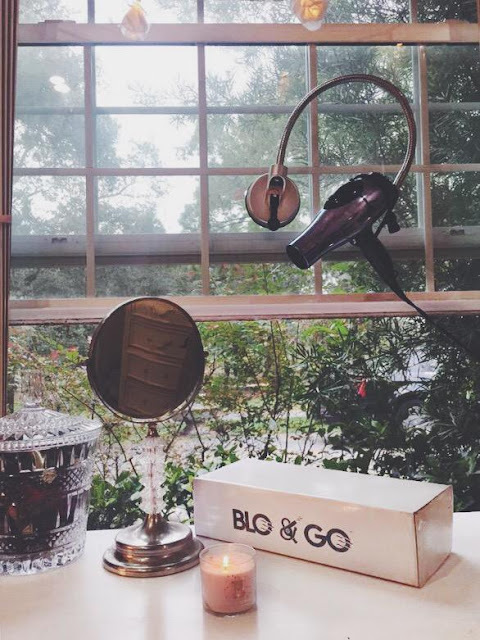 The Blo and Go can be attached to windows or mirrors & can be folded up making it convent for travel or storage.